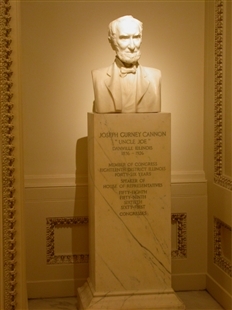 According to Charles Fairman’s Art and Artists of the Capitol (1927), Joe Cannon’s bust was commissioned in recognition of his initiative in the planning and construction of the first House Office Building (now Cannon House Office Building). 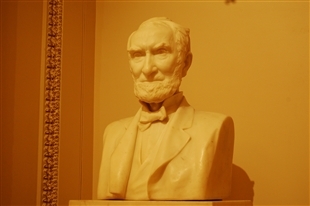 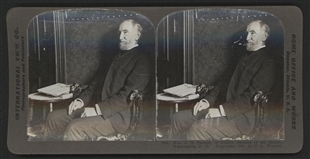 The bust was procured by subscription, accepted by the House in 1913, and was initially placed in the Cannon Building rotunda. 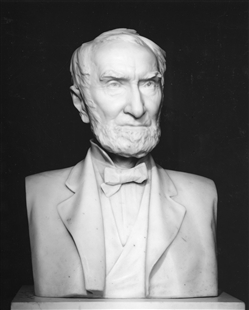 Artist Albert Jaegers is perhaps best known for his 1910 work, the Major General Friedrich Wilhelm von Steuben Monument in Lafayette Park in Washington, D.C.